Copper foil backing resists discoloration and oxidation;Unique adhesive creates secure contact with the application surface;Suitable for EMI shielding, grounding and static charge draining;Flame-retardant;Rated for 600V applications;UL Listed and RoHS 2011/65/EU Compliant 3M™ Tape 1181 is a conductive adhesive EMI shielding tape. This flame-retardant tape is designed for applications that require reliable, point-to-point electrical contact. It comes on a removable liner for easy die-cutting and handling. The tape is rated for 600V dry applications. 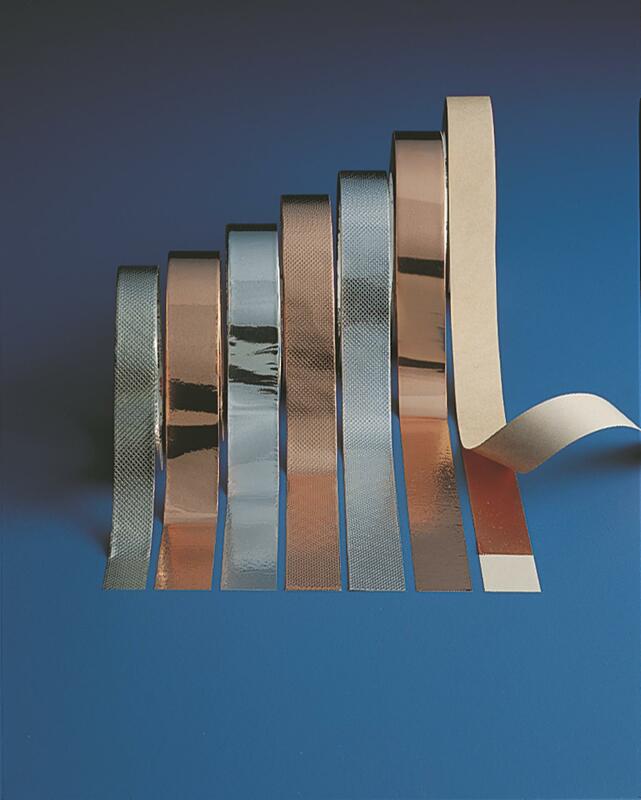 Jaco Aerospace and Industrial is your one stop resource for 3M(TM) 1181 Copper Foil EMI Shielding Tape and all of your 3M Products, Tapes, aerospace and industrial needs.